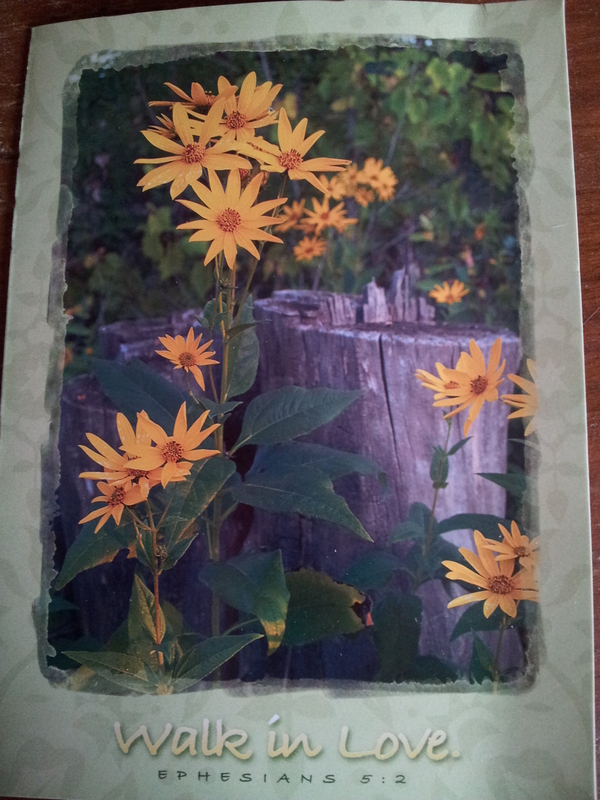 I received a lovely surprise in the mail today; a card from a reader who has yet to read my book. What’s so special about this card? The prayer inside. 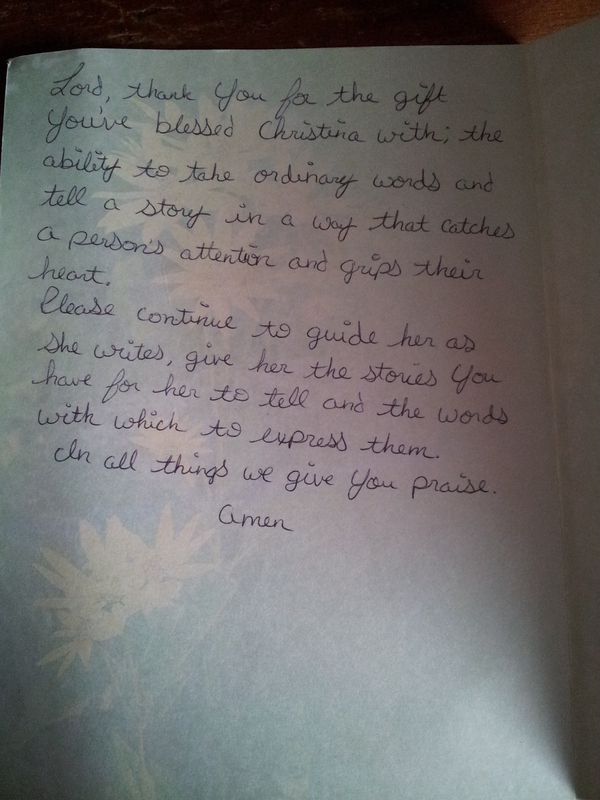 Lord, thank you for the gift You’ve blessed Christina with; the ability to take ordinary words and tell a story in a way that catches a person’s attention and grips their heart. Please continue to guide her as she writes, give her the stories you have for her to tell and the words with which to express them. In all things we give You praise. The writing journey can seem lonely. Only other writers understand the voices running in your head and the frustration that occurs when the story just isn’t working out like it should. Family and friends don’t always get the countless hours of work to create a story, and the countless more that goes into revisions and marketing. The don’t always understand the inability to stop and watch a movie or needing to order take-out. Funny, as a writer, it’s not always easy to take ordinary words and tell a story that catches a person’s attention and grips their heart, especially when the stresses of life press in and demand attention, leaving little time to create gripping stories. Standing on the outside, I understand that when I ask for prayers from my family and friend, they don’t always know how to pray. The above prayer is a great example. Sarah, thank you for blessing me today. This prayer will be a constant to carry me through my stories. I accept the prayer and the blessings through it, may it be so. And may God bless you tenfold in your endeavors.